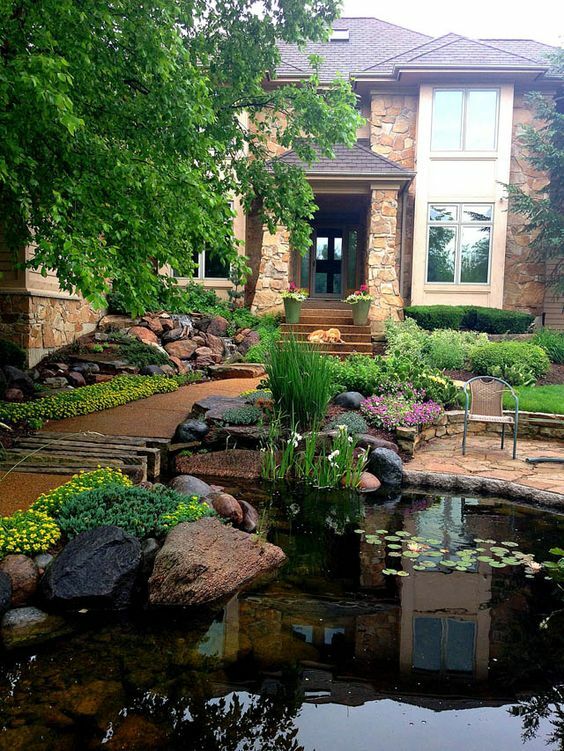 A well-designed front yard landscape helps highlight the beauty and architectural features of a house, and also raises a home’s value by improving curb appeal. 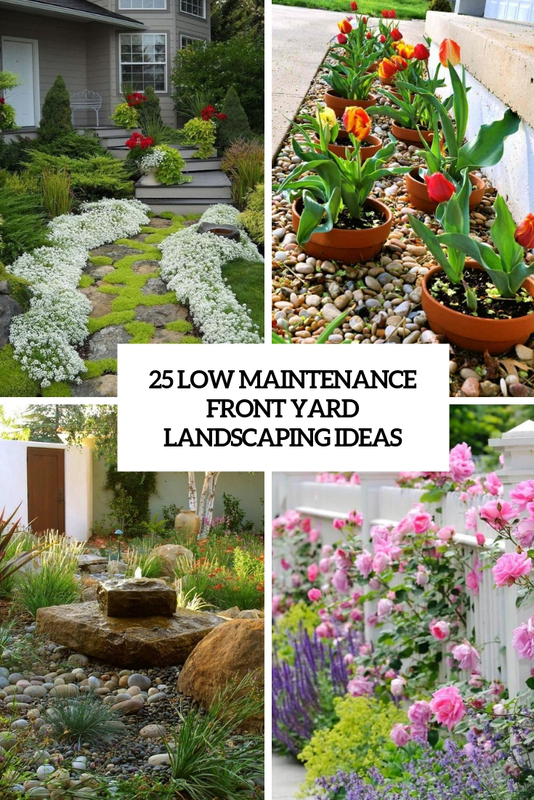 While an attractive yard may take time and money to create, there are some creative and low-maintenance ways to update your home’s exterior without breaking the bank. 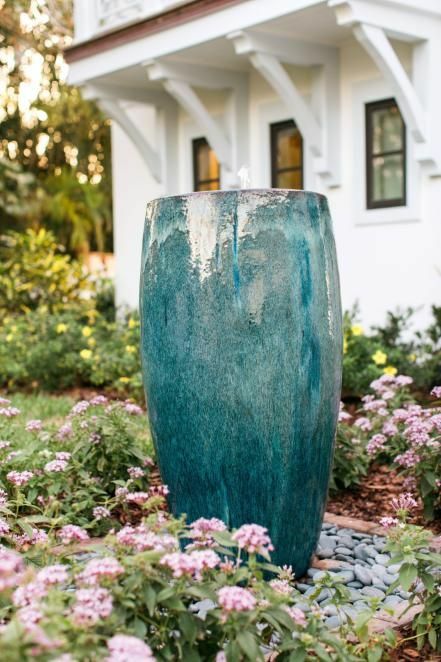 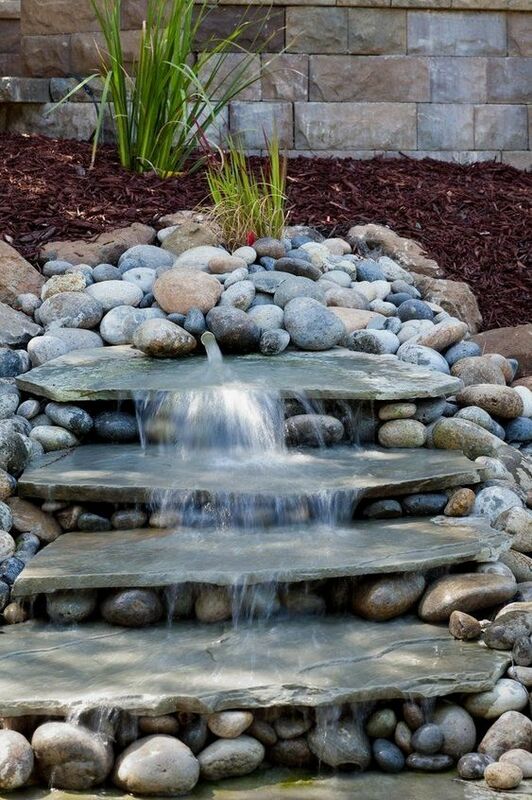 A water feature in your front yard will instantly raise the curb appeal to a new level making it relaxing, calming and welcoming. 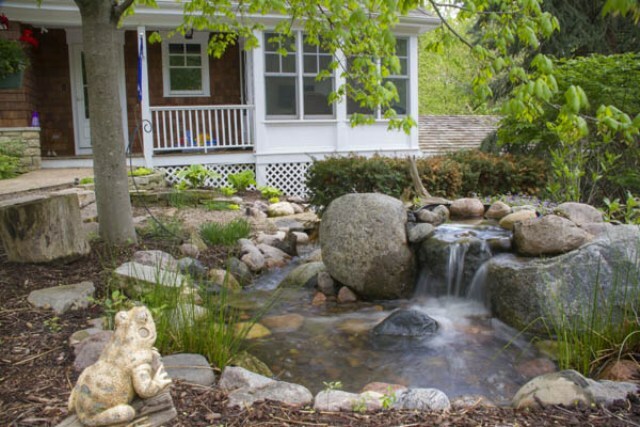 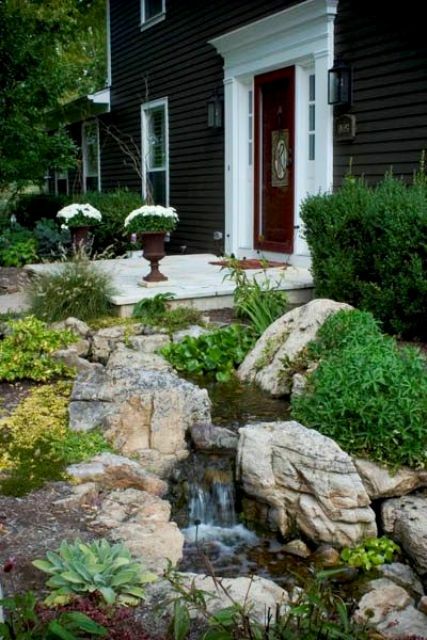 It may be a pond, a waterfall or a fountain – it’s up to you and the style of your front yard. 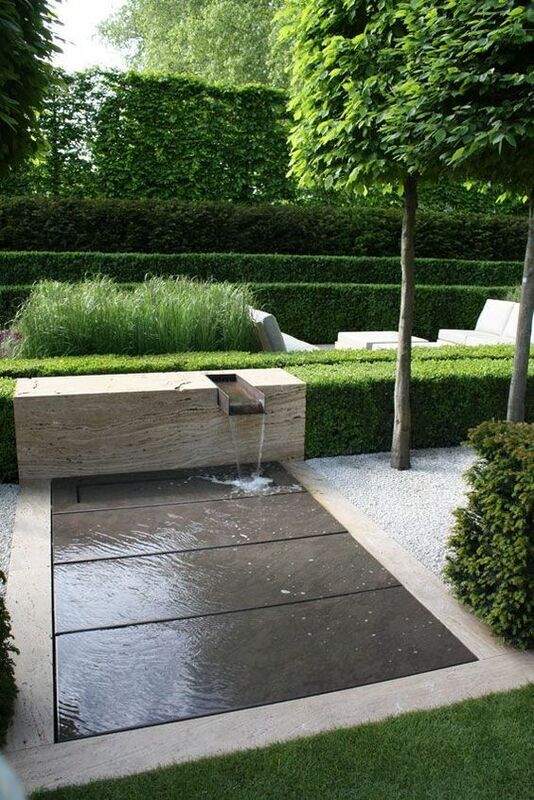 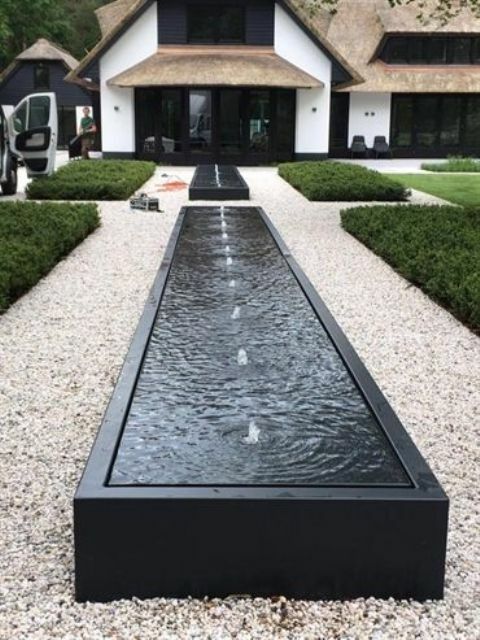 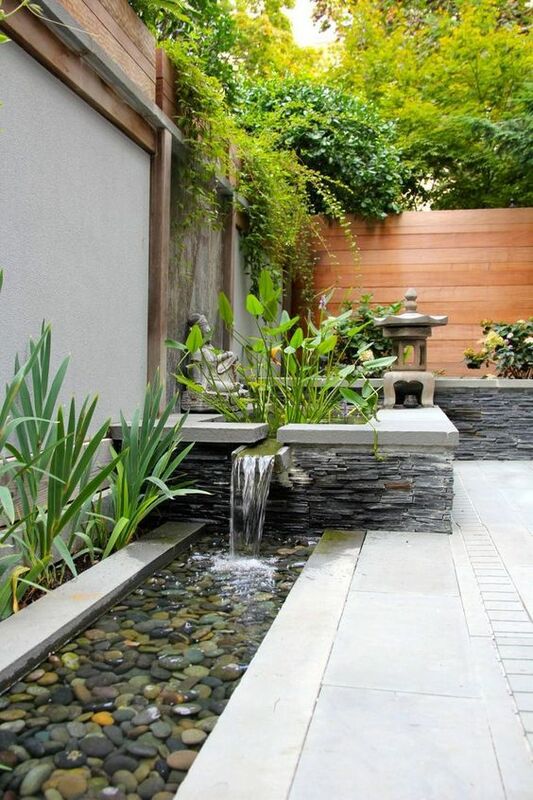 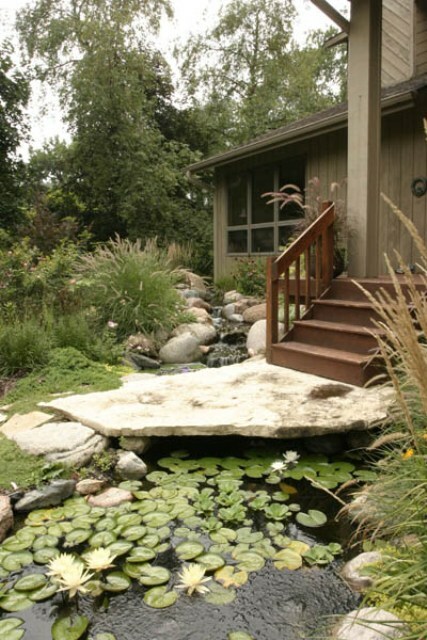 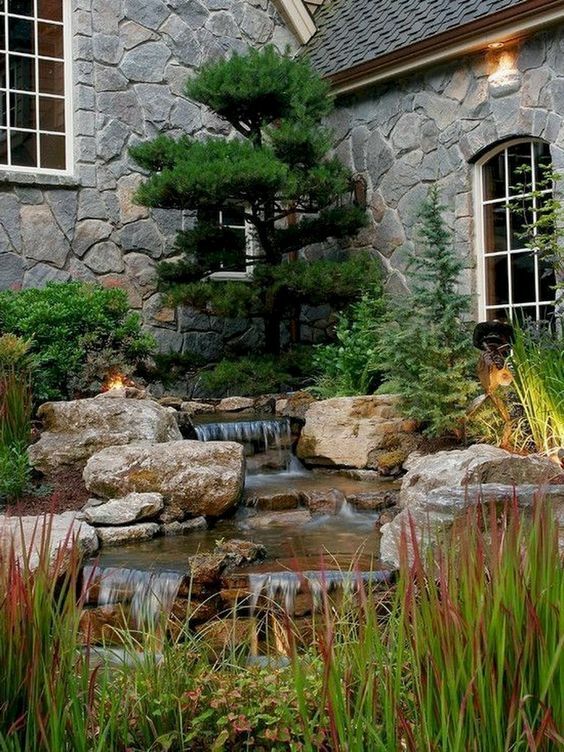 A small pond with water lilies is classics, a modern waterfall with large rocks will add a contemporary feel and a small fountain is a great option for homeowners who like the sounds made by a water feature but do not want to care for a pond or large fountain. 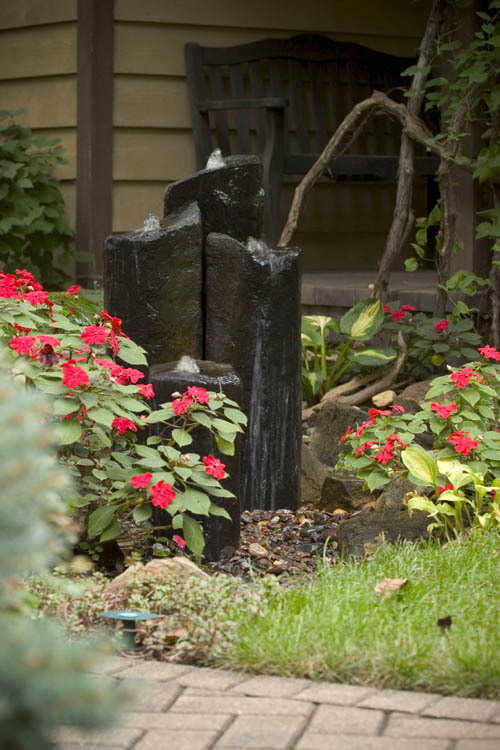 Choose water-wise annuals and groundcovers to ring the fountain without crowding it. 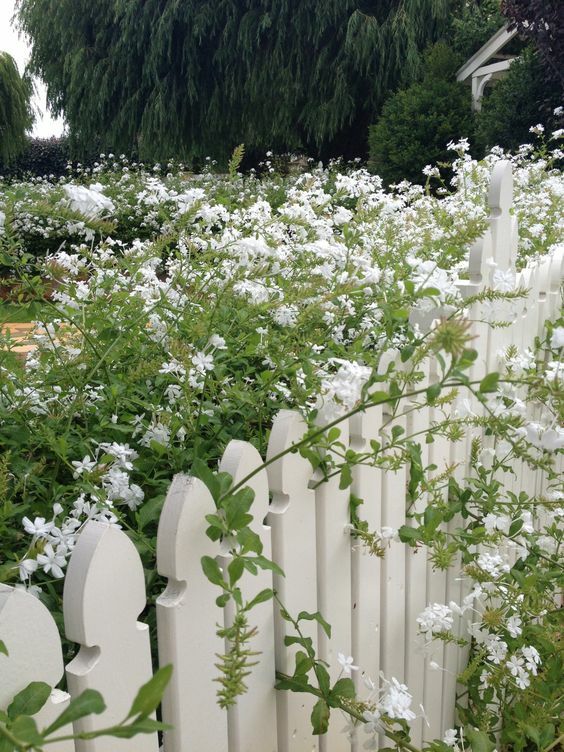 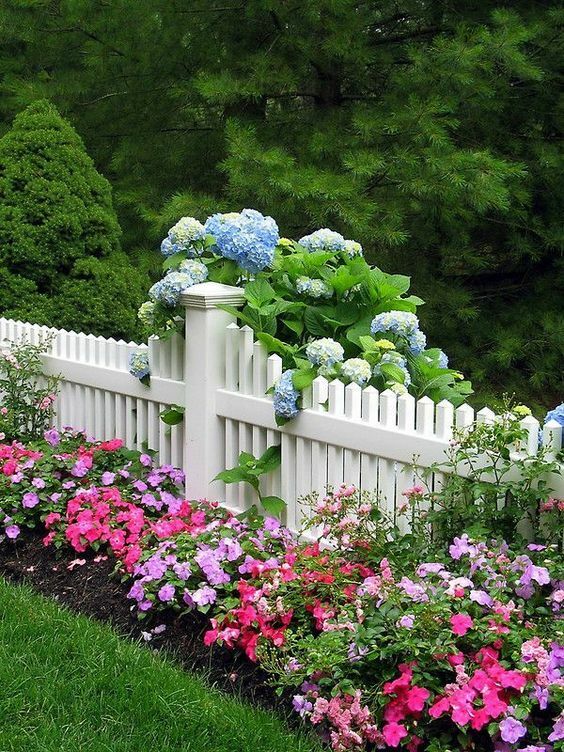 Plant the fenceline with a small variety of flowers. 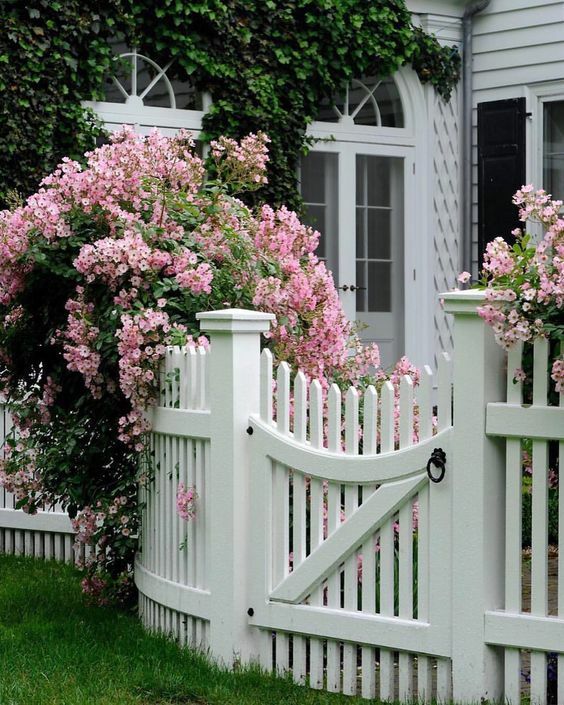 By repeating three or four flowers in sequence, you can achieve a simple yet jaw-dropping display which will be the envy of the neighborhood. 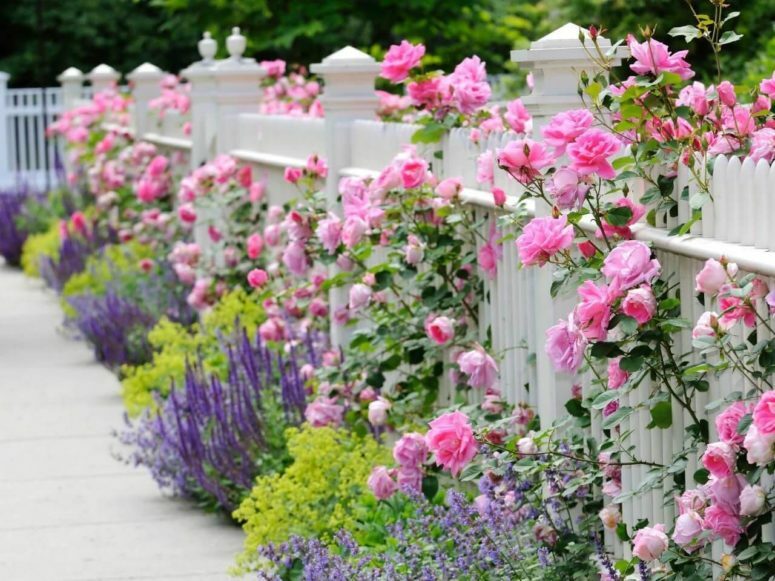 Hybrid roses tend to be tough and resilient, and with a moderate amount of care, will gain their full potential within a year or two of planting. 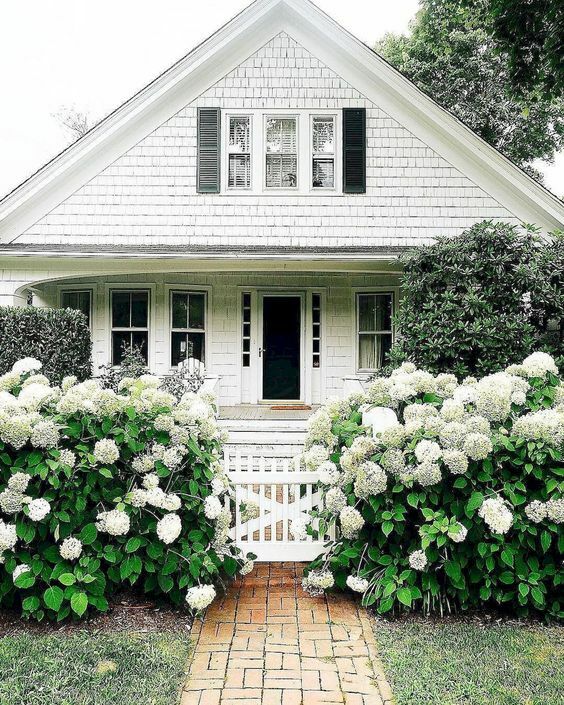 While you’ll need to monitor your roses for insect infestations and disease, long-blooming varieties will provide you with three seasons of flowers. 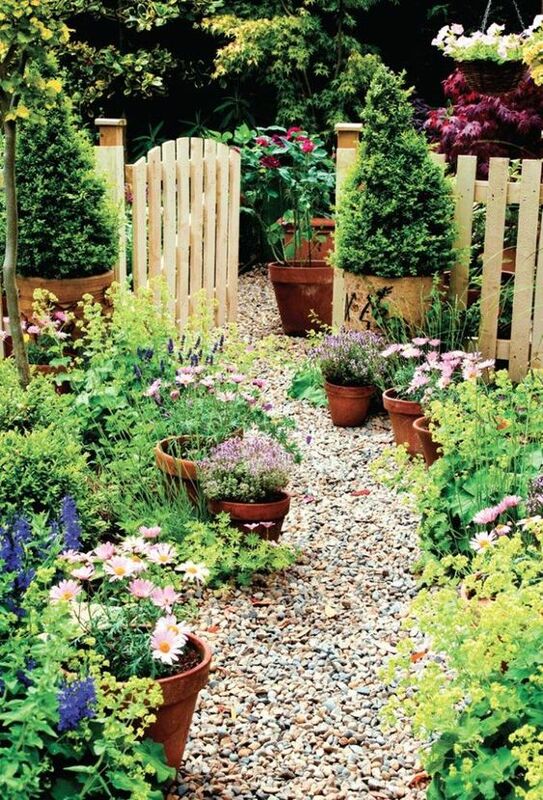 Rock various colors that you like to keep the fence neutral or to contrast it if you go purple or pink. 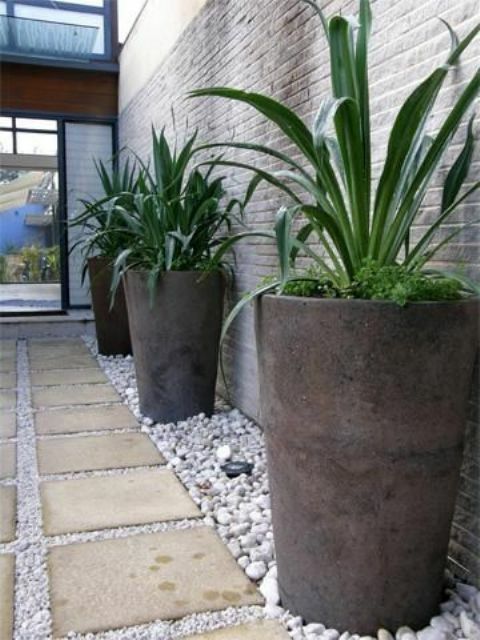 If you are too busy to keep the border looking perfect, opt for pots. 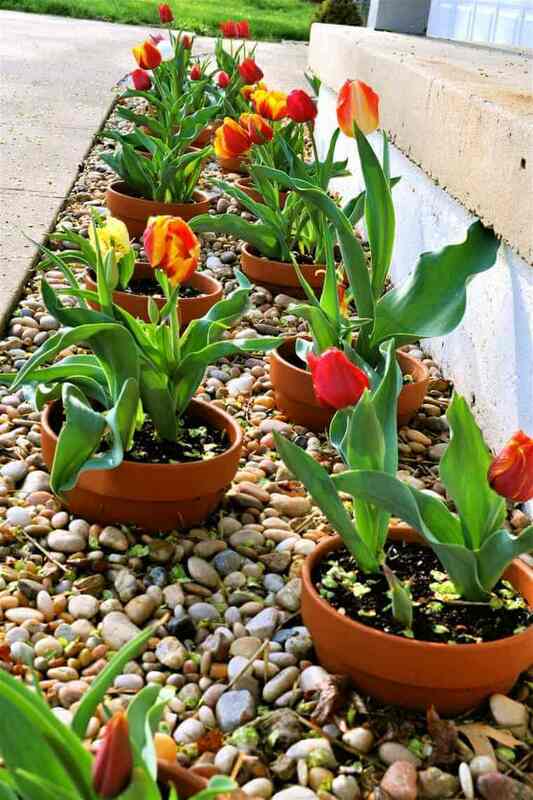 While especially useful for bulbs which need special care and often need to be overwintered indoors, you can also buy potted flowers, evergreen shrubs, or creeping groundcovers and simply swap them out for new plants as the seasons change. 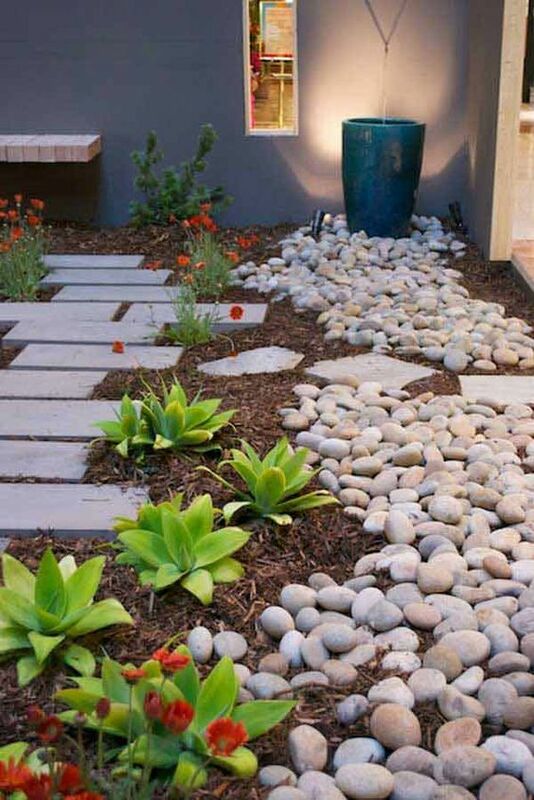 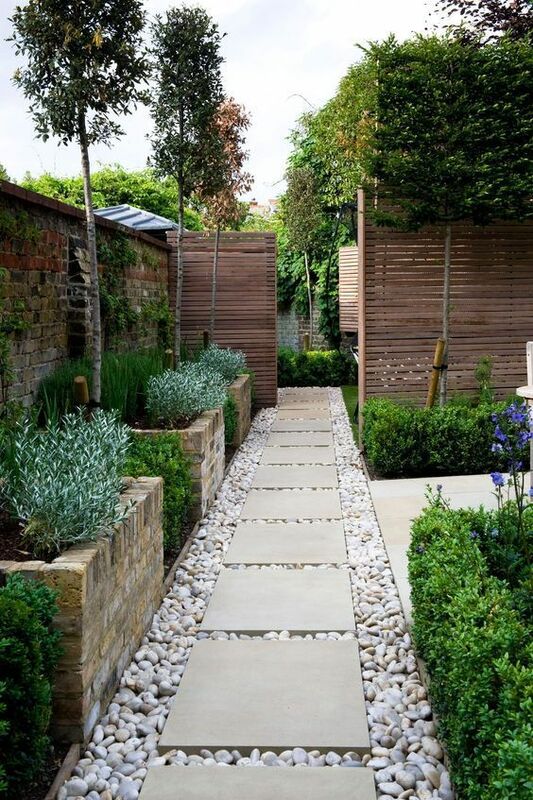 This is an especially useful idea for neglected side yards which are left bare. 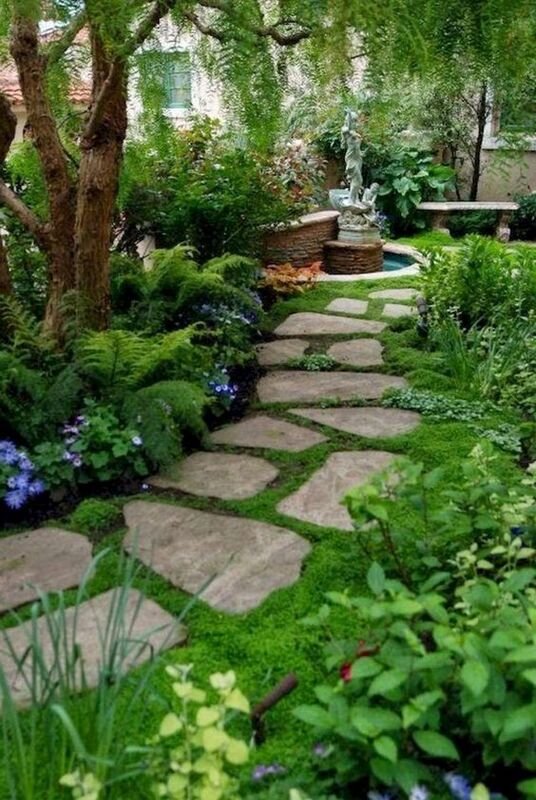 Line up your pathways to make them look cooler! 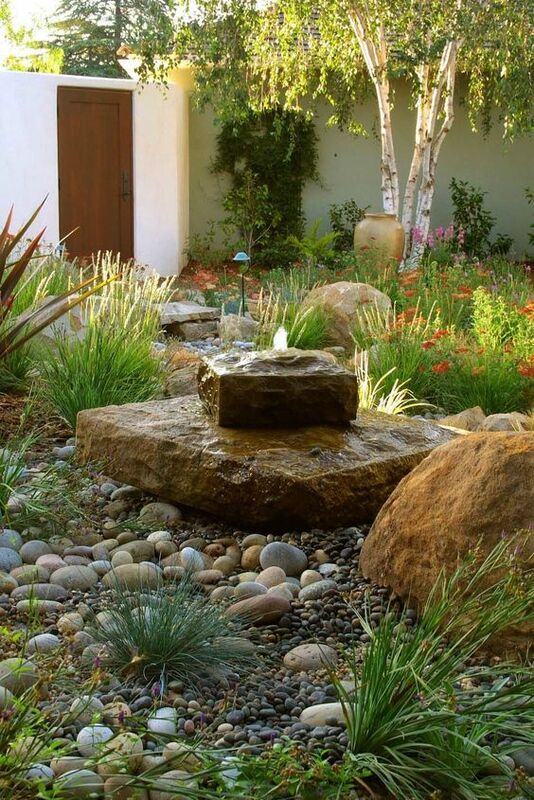 It can be done with various types of greenery and blooms, with large rocks and pebbles or all of them here and there. 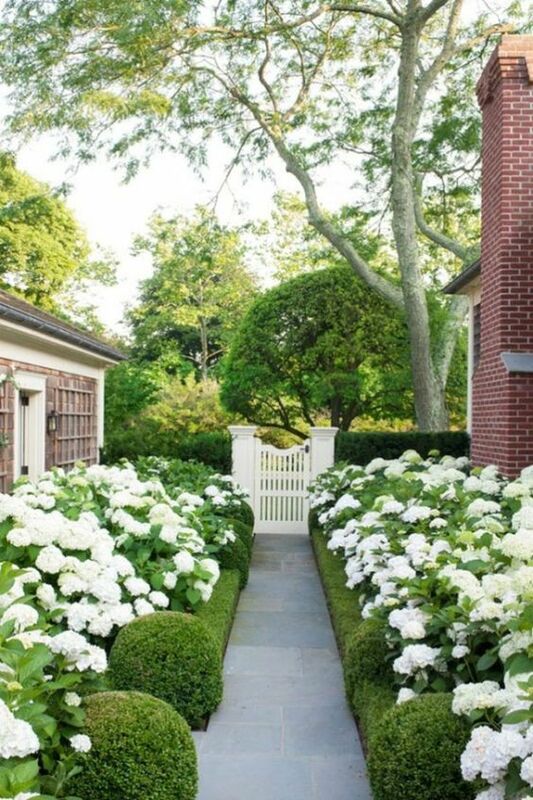 While evergreens certainly keep a yard from feeling bare in the winter, azaleas have the added benefit of producing breathtaking floral displays during the spring and early summer, they can be a perfect liner for the pathways. 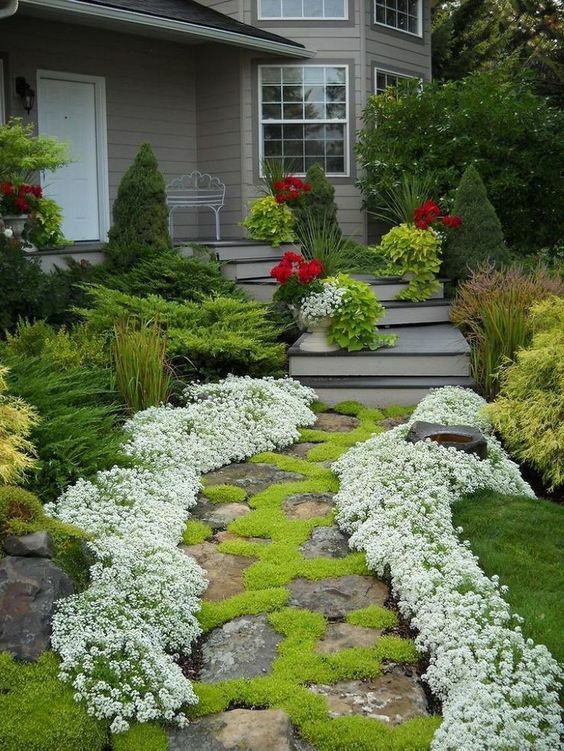 Paired with a short but colorful groundcover such as creeping thyme or phlox, a short hedge can be one of the lowest-maintenance options for flower beds and walkway borders.